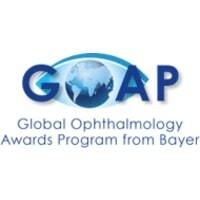 We would like to draw your attention to the Global Ophthalmology Awards Program (GOAP) – a unique initiative established by Bayer in 2012 to support research projects that advance scientific understanding of retinal diseases. To date, 70 research grants, totaling US$3.5million, have been awarded to support a range of innovative ophthalmology research projects, including 12 grants in 2018. For the Fellowship describe your proposed project and the justification for the proposed methods, including power calculations for justification of your sample sizes, where appropriate. Furthermore describe any future work anticipated from completion of this project, especially with regard to care of patients with retinal disorders. The research grant will be invested in your workspace to enable future researches.